So, why a specific glass for a specific beer? Well, most would argue you that glass specialization for your beer is a complete hoax, but others would strongly disagree. As soon as the beer comes in contact with the glass it alters the taste, color, and aroma…making it very necessary for the correct glass to enhance every feature of the beer you are about to enjoy. We reached out to Chloe Ryerson, local sales rep and Reidel brand manager (A.K.A. Glassware Expert) for Bolton & Hay, Inc. to find out find out the proper glassware for your favorite Des Moines Brewery Beers. 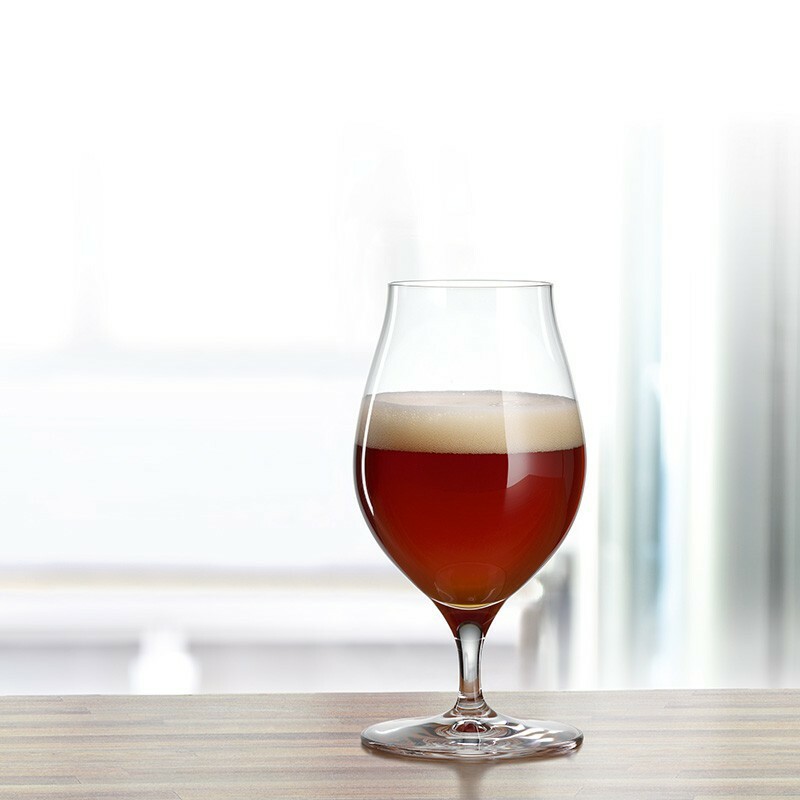 Perhaps the most iconic style-specific beer glass currently available, the Spiegelau IPA glass has been developed in collaboration with Sam Calagione of Dogfish Head and Ken Grossman of Sierra Nevada, two of the leading IPA brewers in the country. 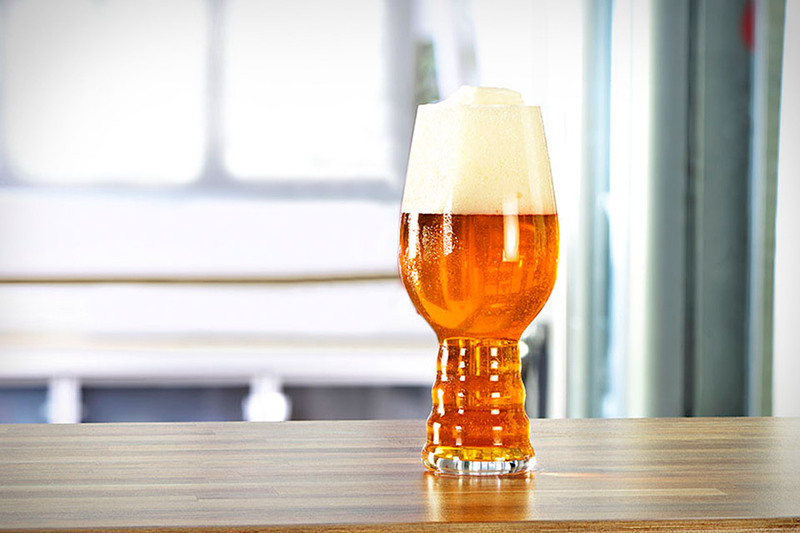 Designed to showcase the complex and alluring aromatic profiles of American, “hop-forward” IPA beers, preserve a frothy head, and enhance taste and mouth feel, Spiegelau’s latest design is the go-to vessel for enjoying IPA beers. For this glass, choose a Des Moines IPA. “Everyone loves a good IPA but when you put Confluences Des Moines IPA into the Spiegelau glass you won’t drink it from another glass again,” says Chloe. Browse the “Proper Glassware” hashtag on Instagram and you will notice that the tulip is quickly becoming the craft beer drinkers go-to glass. Shaped like its namesake flower, the tulip glass has a bulbous body that narrows at the waist and then widens at the top. A stem allows the drinker to hold the beer without warming it while the flared mouth design helps head retention and aroma. This is the perfect glass for a variety of styles including IPAs, strong ales, barleywines, and barrel-aged stouts. “Most Americans think of a stout as a thick, murky, ‘eat it with a spoon‘ beer, but in reality they can be surprisingly complex. So whether you have preconceived notions about stout or not,” Chloe explains, “you have to try William Milo Stone Imperial Stout from Peace Tree in this beautifully crafted tulip glass!” This Belgian Imperial stout utilizes extra helpings of back malts to give it chocolate, coffee, and toffee characteristics. There is even a barrel-aged version occasionally available at the Peace Tree – Des Moines Branch taproom…make sure you grab one if you can! Lager (German for storeroom or warehouse) is a type of beer that is conditioned at low temperatures, normally at the brewery. It may be pale, golden, amber, or dark. Although one of the most defining features of lager is its maturation in cold storage, it is also brewed with a specific bottom-fermenting yeast with a preference for cooler temperatures as opposed to the top-fermenting ale yeasts typically used with most other styles. The shape and volume of the Lager glass resemble those of a traditional pint glass with the exception of being slightly wider at the mouth than at the foot to help maintain head and enhance the subtle hop aromas. 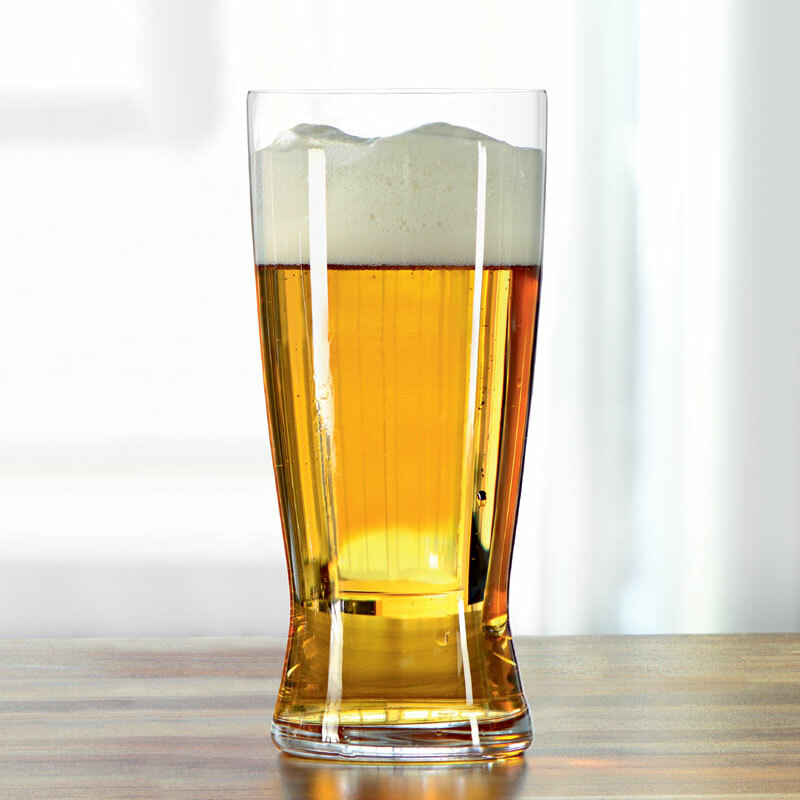 The Lager Glass is similar in shape and style to the pilsner glass; however, the pilsner glass tends to be thinner to display crisp carbonation and lighter color that Pilsners tend to have. Simply broken down, Hefe (yeast) Weizen (wheat) is of German origin and traditionally means an unfiltered wheat beer. It is often referred to as “weissbier mit hefe” (with yeast). These brews are crafted with up to 50%-65% malted wheat, while the remainder of the grist is malted barley. It is this large addition of wheat that gives this beverage a very crisp and refreshing profile. Hefeweizens are generally highly carbonated brews and when poured these beers should be a cloudy (from the higher proteins contained in wheat malt) pale gold to a spectrum of amber shades. They are almost always served with an overflowing meringue-like crown. 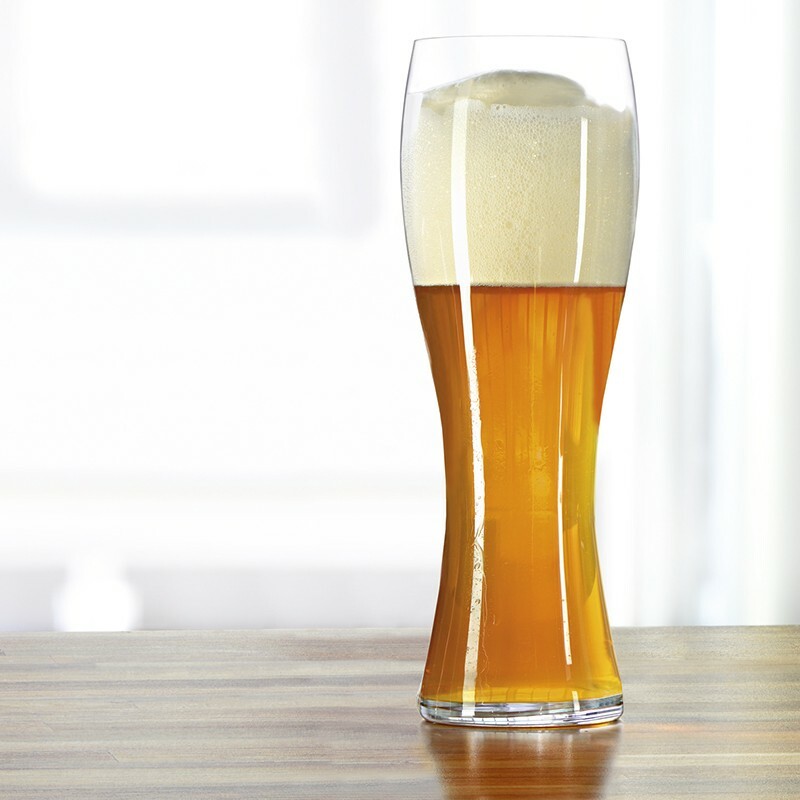 The design of this tall glass accentuates the aromas and flavors naturally found in wheat beers. It is a large glass, much taller than a typical pint glass, designed to hold volume plus a visually pleasing fluffy white head. It is said that the glass is tapered to trap yeast at the bottom of the glass. One of the best examples locally is Exile’s flagship Hannah. This Bavarian wheat is brewed with German wheat and malt, and has intense aromas of clove and banana. “No matter what your go-to beer is, if you have the correct glass your experience will be immediately be elevated,” Chloe explains, which is why we here at Des Moines Foodster has teamed up with Bolton and Hay for a glassware giveaway! No sharing or reposting necessary, simply follow the instructions below and enter to win a Spiegelau Glassware set containing each of the four glasses mentioned above! Do you have too many beer glasses already? 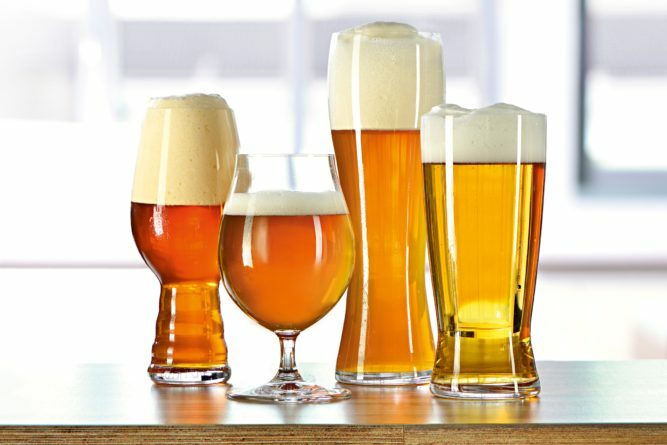 This starter set, containing an IPA glass, Stout glass, Lager Glass, and Hefewizen glass (a $50.00 value) would make the perfect birthday or Father’s Day gift. Good luck! Chloe Ryerson is an Outside Sales representative and Riedel Brand Manager for Bolton & Hay, a foodservice equipment and supplies wholesaler located in Des Moines.